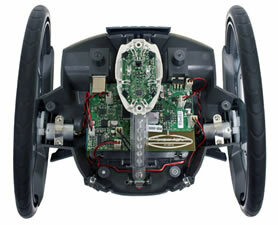 In a previous post (Robonica Roboni-i: inside out), I took the smart little, two wheeled robot apart and discussed the parts that make up the robot. For example it utilises an Atmel AVR ATXMEGA128A1 chip as the main CPU (Central processing unit). The Atmel chip is in a circuit, which means we will have to find out if it can be programmed without removing it from the circuit. From what I have read about the Roboni-i is that it was developed with the maker/tinkerer/hacker in mind and I found that jumper J1 on the board is connected to various pins on the chip. This jumper is marked ‘Spec Port’ which leads me to think that this jumper is quite possibly a programming port, but more information is needed. As you might know (or not) is that chips and micro controllers are programmed under certain conditions through specific pins. The type of programer needed to load and read the program onto and from the chip. I have been told via the House4Hack Google group ( +House4hack ) that something like a STK600 (a complete AVR starter and development kit, which seams a bit of an overkill in this case) or some other PDI programer. Is there a bootloader on the chip for possible firmware upgrades? Which peripherals are connected where? These last questions and more will only be answered once some more digging has been done. In the mean time I will need to ‘reverse engineer’ the circuit, since there are some other smaller controllers in the circuit to control the RFID input for example. 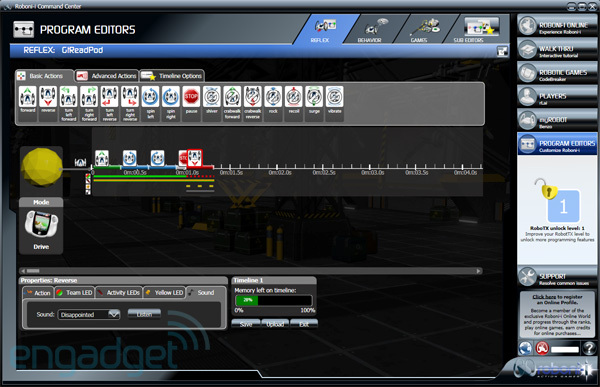 I will also build the circuit using Ealge Layout Editor which is a freeware PCB design package. I will be keeping an eye on this for part 2 I have been working twards the same goal. I have tried the Jtag port which I get some response from but then AVR studio complains that the Jtag port may be disabled. I have also tryed hooking up an AVRISP mkII to other header pins that I added to the main board on set labled J11 and the other AC but no luck yet.